Emily Anderson Lukanich is the daughter of military personnel who landed in Charleston, South Carolina, for the balance of her youth. The eldest child of three, she grew up on the beach in a resort destination similar to the lifestyle of the Vail Valley. A graduate of the University of Illinois-Champaign in French literature, she felt a calling in her mid-20s. After marriage to her husband Christopher and now a mother of two, she received her Masters in Divinity degree from the Virginia Theological Seminary in 2014. 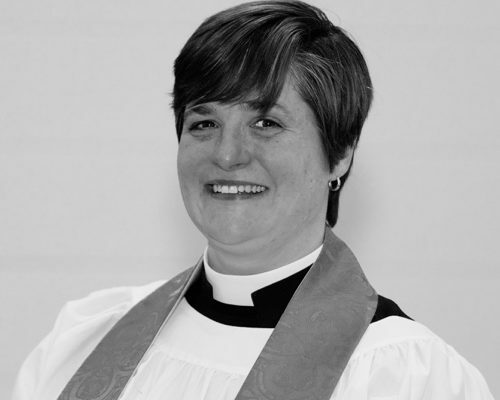 Lukanich arrives in the Vail Valley from Blacksburg, Virginia, where she is currently curate for the Christ Church congregation. Lukanich and her husband were both teachers for several years before she left the profession for the seminary.